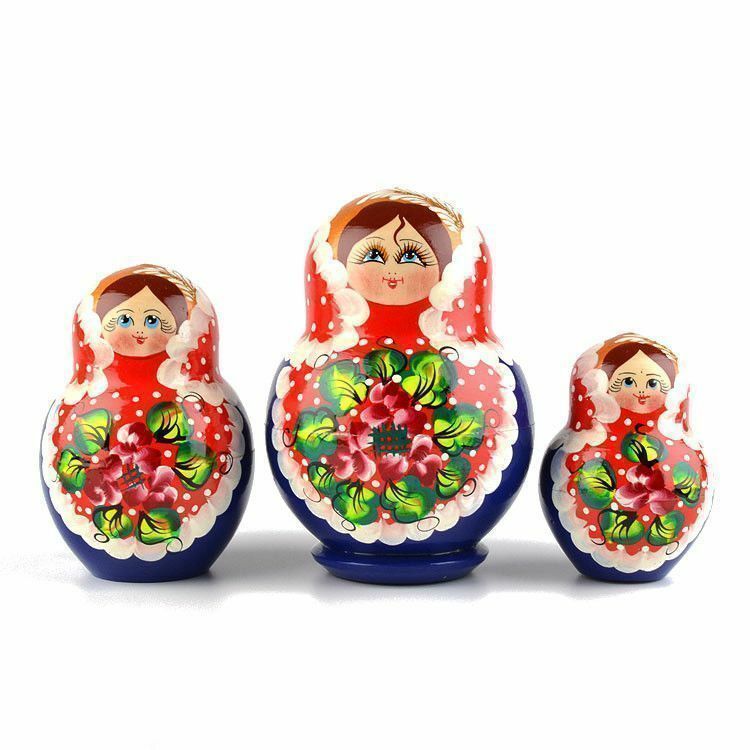 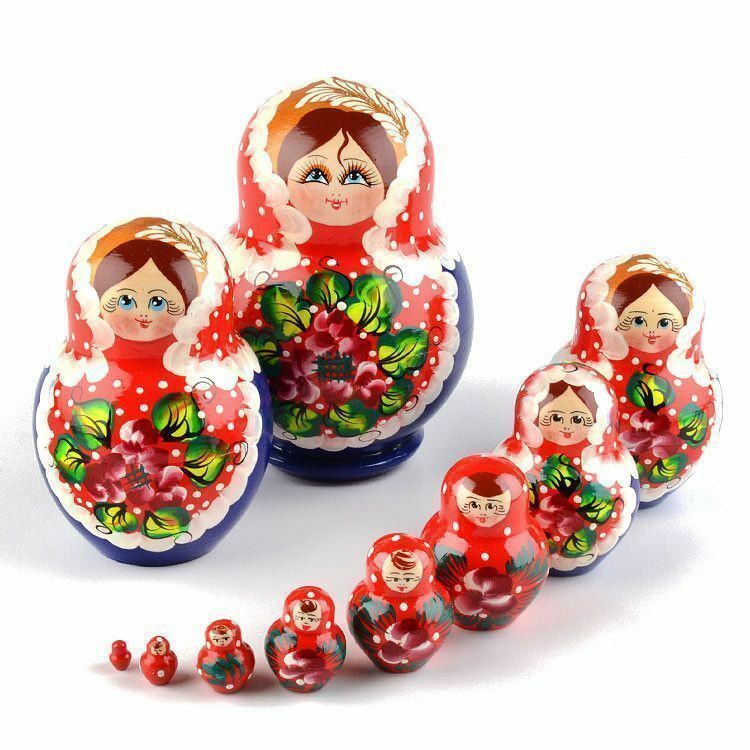 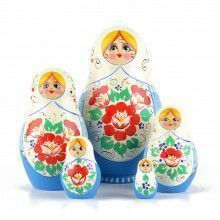 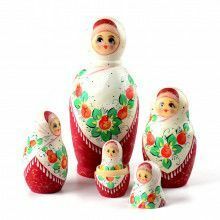 This 10 piece nesting doll features red, blue, and white colors with white polka-dots and green leaves. 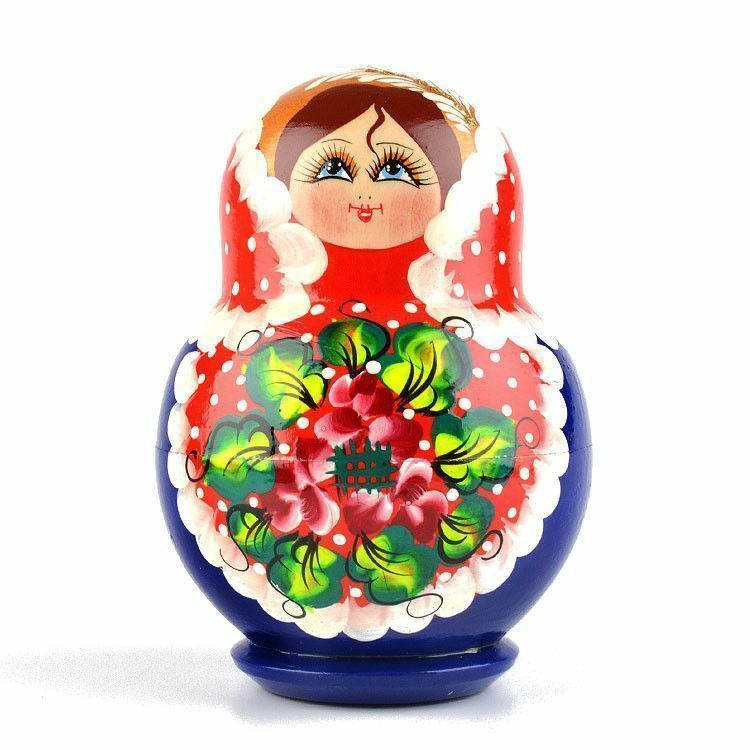 She is about 5 3/4" tall and about 4" wide. 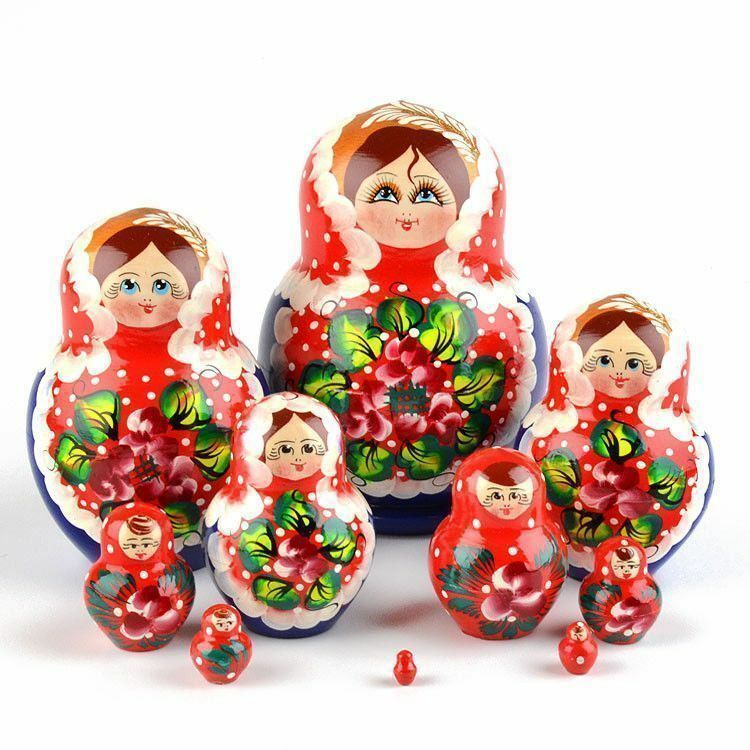 Her bright colors and smiling face are sure to cheer up anyone or any room! 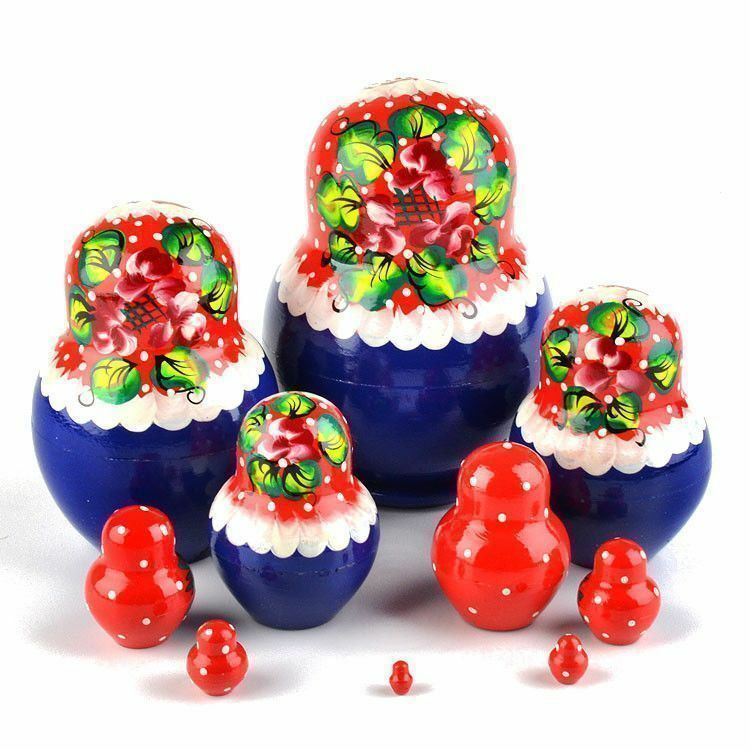 Crafted by hand in Russia for The Russian Store.